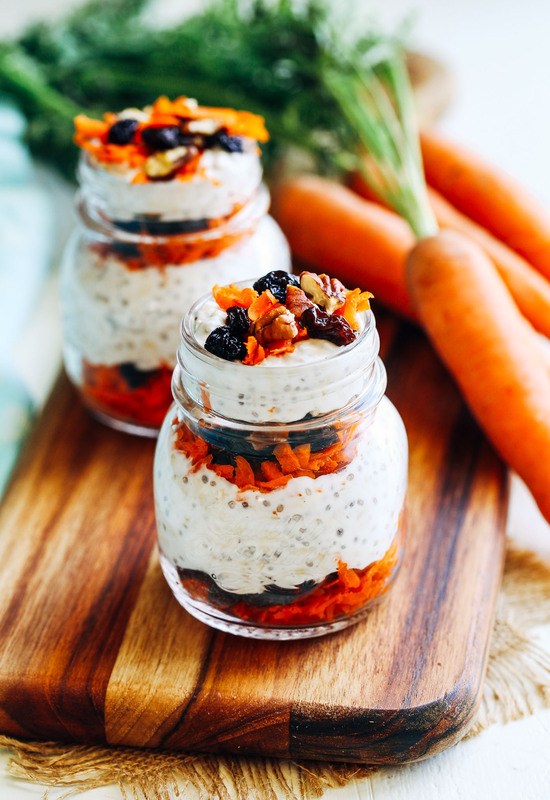 I’ve been hooked on overnight oats since I made this Peaches n’ Cream version earlier in the summer. 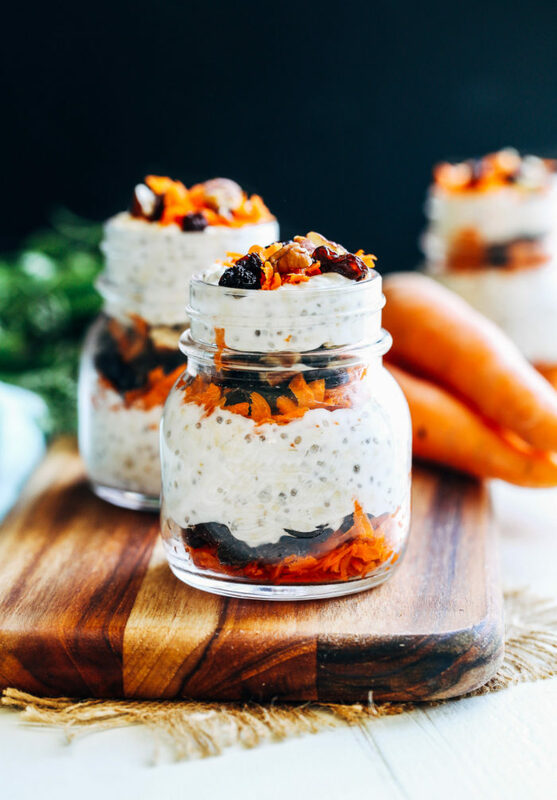 They’re just so easy to make and I love that all of fiber and protein in the oats keeps me full for hours. 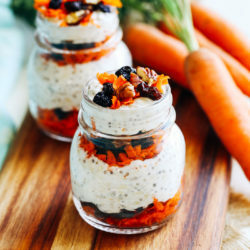 With summer fruit on the way out, I wanted to put a different spin on overnight oats that’s a little more appropriate for fall. 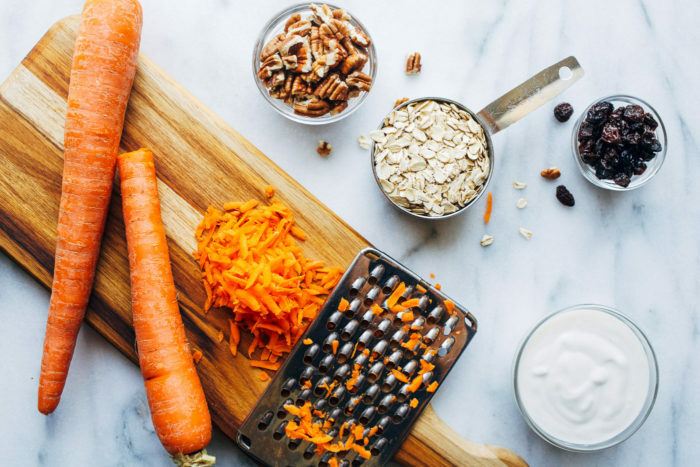 This “carrot cake” recipe combines the light sweetness of freshly grated carrots with raisins, pecans, cinnamon, ginger and a touch of pure maple syrup. 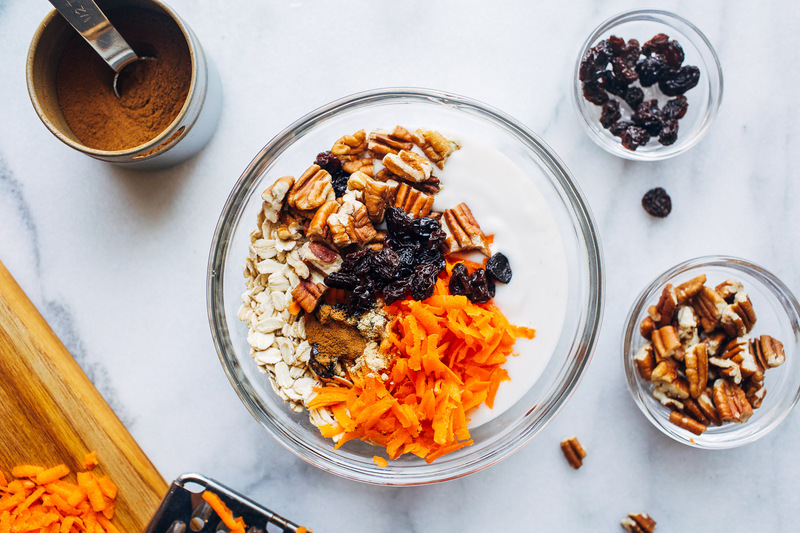 It’s like eating dessert for breakfast but without the guilt. 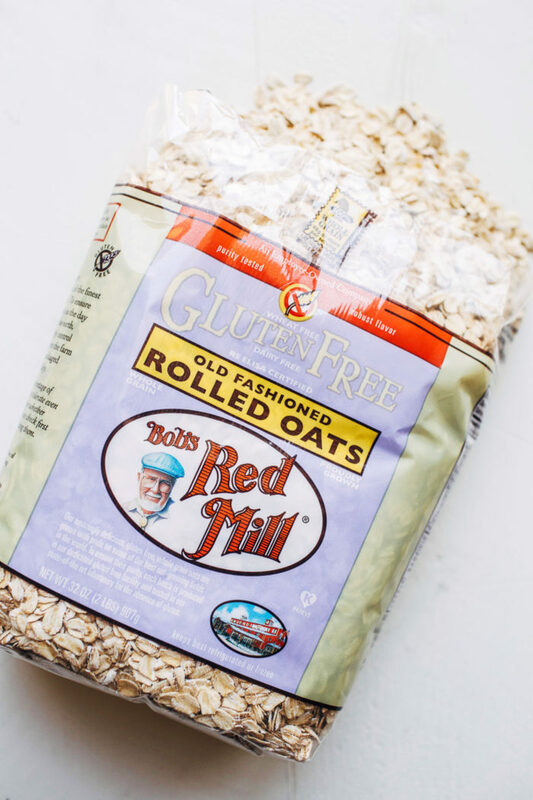 They also make a great gluten-free breakfast option, assuming you use certified gluten-free oats like my favorite from Bob’s Red Mill. I crave warm oatmeal this time of year so I like to pour in a splash of almond milk and heat in the microwave for about one minute before eating. Smelling the scent of warm cinnamon in the morning is about as comforting as it gets in my book. I know everyone likes different add-ins in their carrot cake so feel free to stir in a little unsweetened coconut or whatever your favorites might be. If you’re feeling frisky you can also top it with a dollop of coconut whipped cream. It’s ultimate bliss! In a sealable container combine all of the ingredients and stir well. Cover with lid and store in the refrigerator overnight. Stir well the next morning before eating. 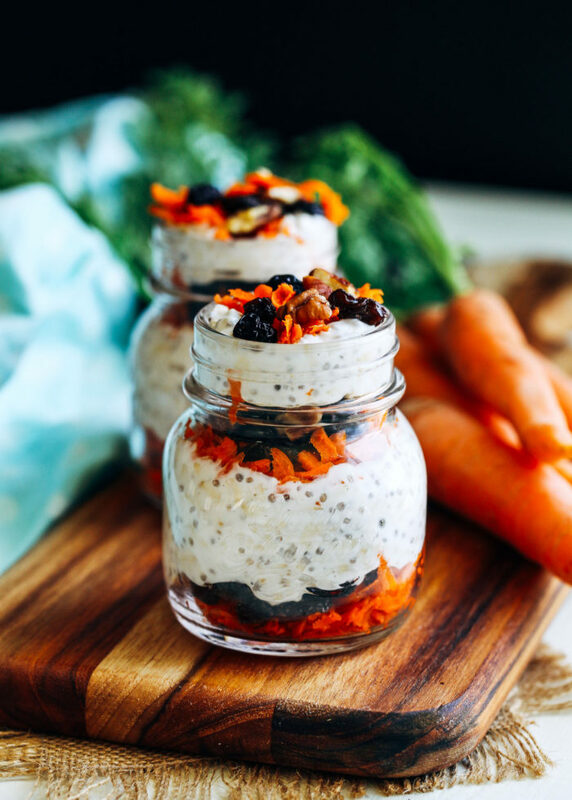 For warm oats, add a splash of almond milk then microwave for one minute before serving. This post was created in partnership with Bob’s Red Mill, a brand that I have used and loved for years. As always, all opinions and text are entirely my own. Thank you for supporting the brands that help make it possible for me to bring you quality content. For more delicious recipes and a coupon for $1.00 off any product, please visit Bob’sRedMill.com.